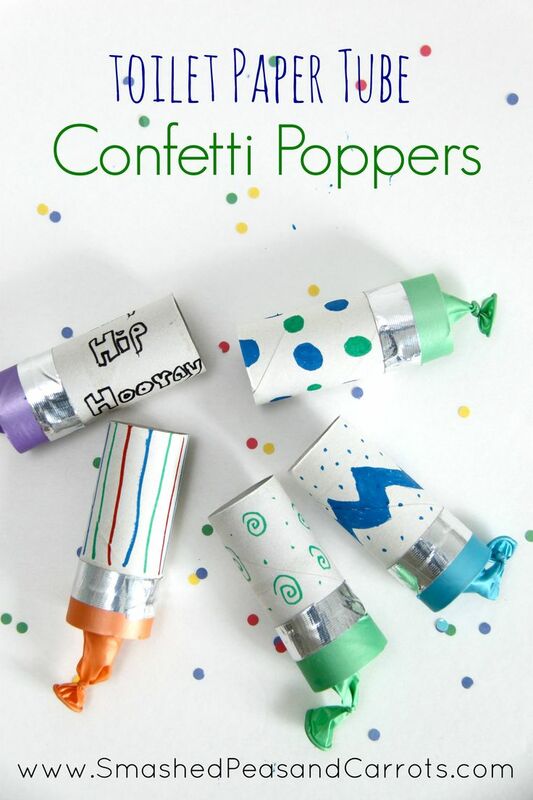 Celebrate the New Year with these fun Pom Pom Poppers! On New Years Eve we look for fun things to keep the kids busy. What if I told you not only is this a fun activity but, it is inexpensive and easy to make? Sounds good, right? First, while the balloon is deflated tie a knot on the bottom of the balloon. Cut the bottom of the balloon off. 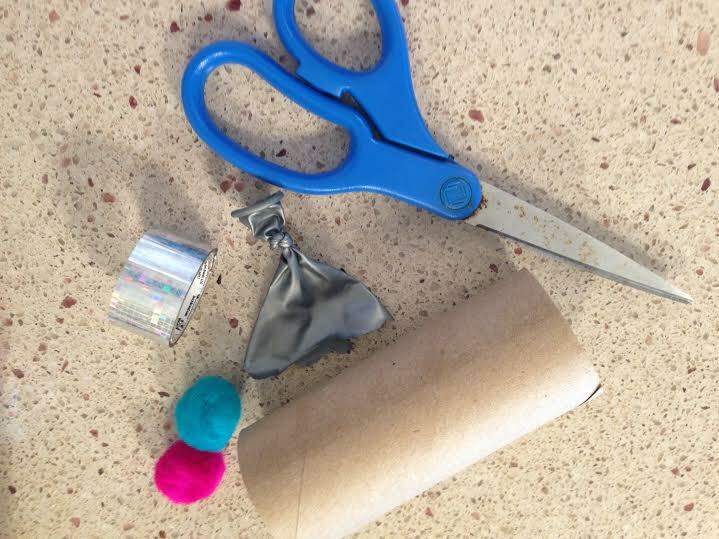 Then, attach the bottom of the balloon to the toilet paper roll with duct tape (the balloon knot facing down). Decorate the toilet paper roll with markers and /or stickers to make it even more festive. 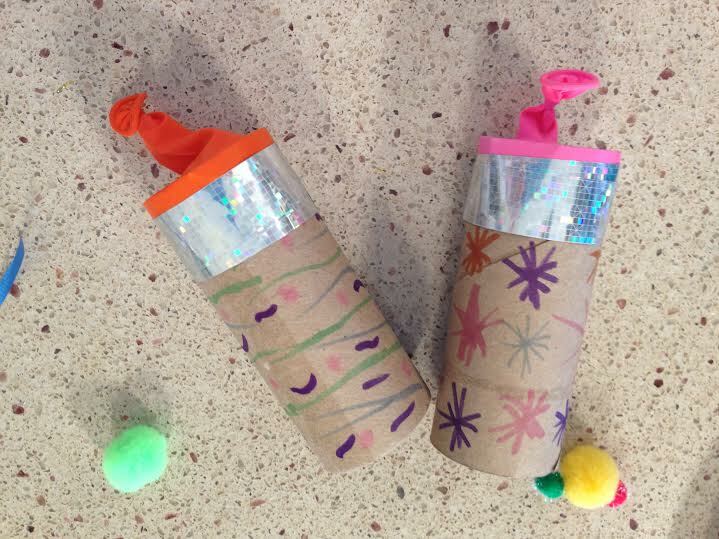 Once your Pom Pom Popper is complete put pom poms inside of the tube. Stretch the bottom of the balloon out and then release it while you have the Pom Pom Popper facing up. 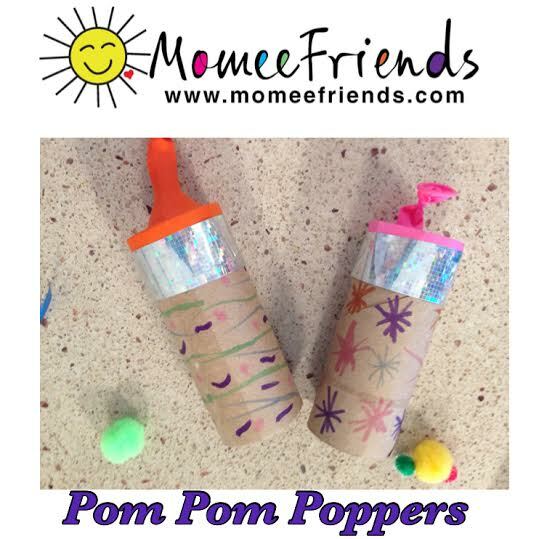 You will see the pom poms travel high and your kids will love playing with this throughout the day on New Years Eve or if they can make it till midnight use it then. How fun this would be to use at midnight on New Years Eve? Even adults will love this craft idea. 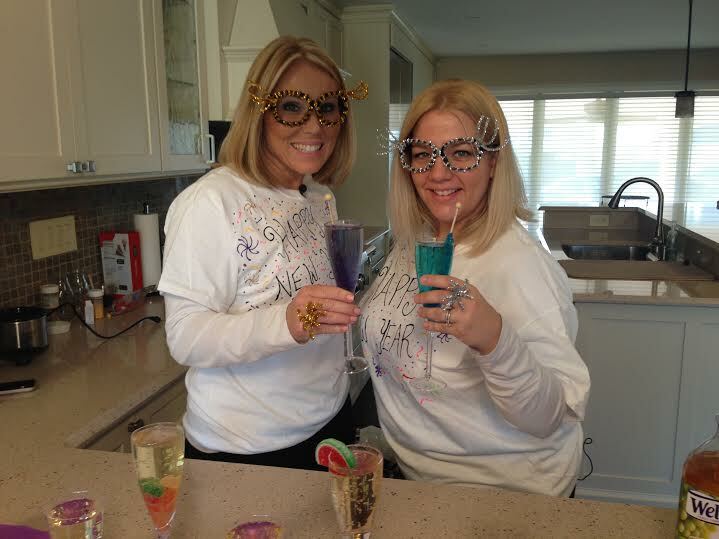 You can see Elizabeth Hashagen and I, show you how to make these along with other fun New Years Eve crafts on News 12 Long Island. It will air December 28th, 2015 between 5 and 8am. News 12 has a lot of great Holiday Help Ideas —> see more here on Make It Monday!